This is London’s most spectacularly-located Mulberry tree yet I wonder if anyone notices it, growing in a quiet garden on the east side of the moat which everyone walks past in their haste to enter the Tower. 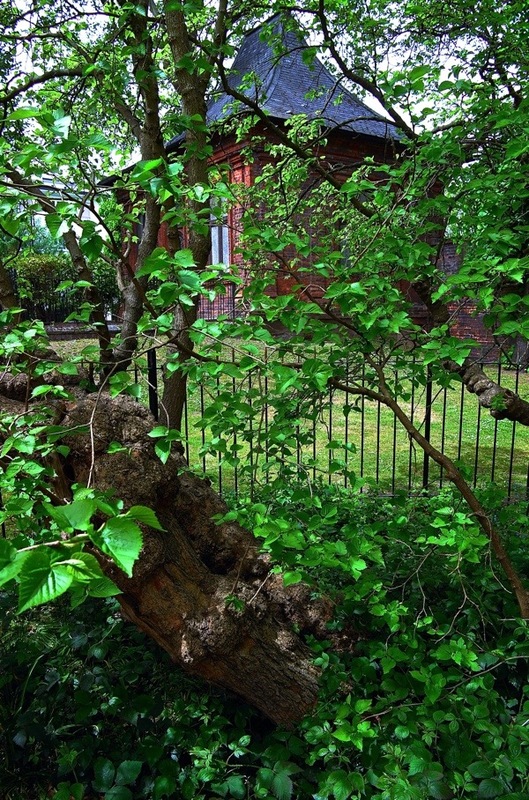 It is the latest in my ongoing-project to photograph London’s ancient Mulberry trees, that started inadvertently when I photographed the oldest one in the East End in the grounds of the London Chest Hospital in Bethnal Green and has grown as readers have written with further suggestions. Since I photographed my first Mulberry a month ago, they have come into leaf – offering a luxuriant foliate contrast to those bare branches of April. 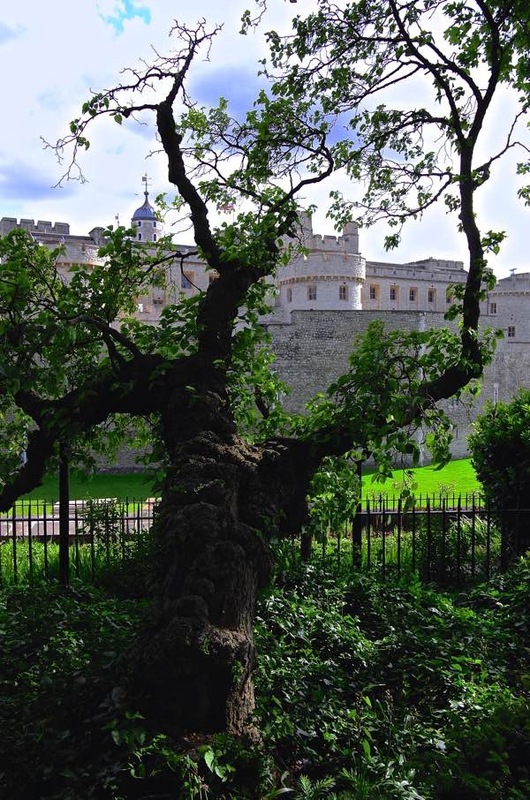 Mulberry trees seem to attract stories, though I have been unable to discover anything about this intriguing specimen at the Tower of London which has chosen to keep its tales close. 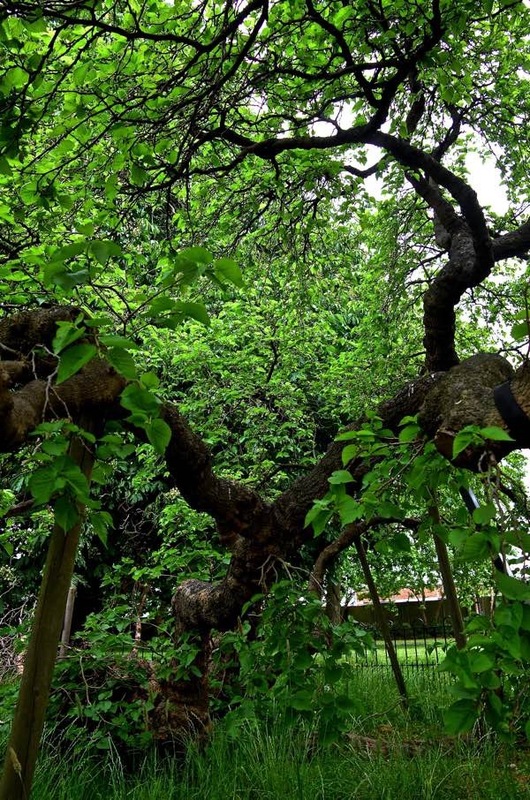 Down in Deptford in Sayes Court Garden, within the former garden of Diarist & Gardener, John Evelyn’s house, an old Mulberry tree is claimed to be a gift of Peter the Great. John Evelyn’s correspondence confirms that he had Mulberries growing in his garden in Deptford as early as the mid-sixteenth century and propagated varieties through grafting, while recent DNA sampling of the surviving tree has revealed it to be a unique hybrid. Two years ago, the tree lost a major part of its trunk and concerns have been raised for the survival of this magnificent four hundred year old Mulberry marooned and forlorn today in a neglected municipal park. At the top of the hill in Charlton, grows a venerable black Mulberry that is believed to be contemporary with the nearby Jacobean Charlton House, 1608, and is portrayed upon John Roque’s map of 1741. Selected as one of fifty Great British Trees by the Tree Council in 2002, it is a noble guardian – waiting patiently at the entrance to the splendid old house through four centuries. 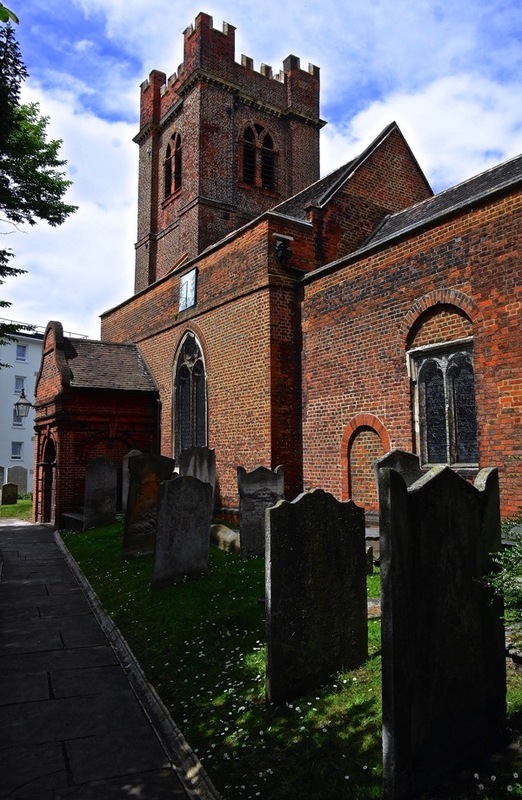 With its unusual brick church, expansive park, walled gardens and spectacular views back to City, this is a worthwhile pilgrimage for the dedicated dendrophile. Thank you for all the fascinating articles that make up Spitalfields Life. 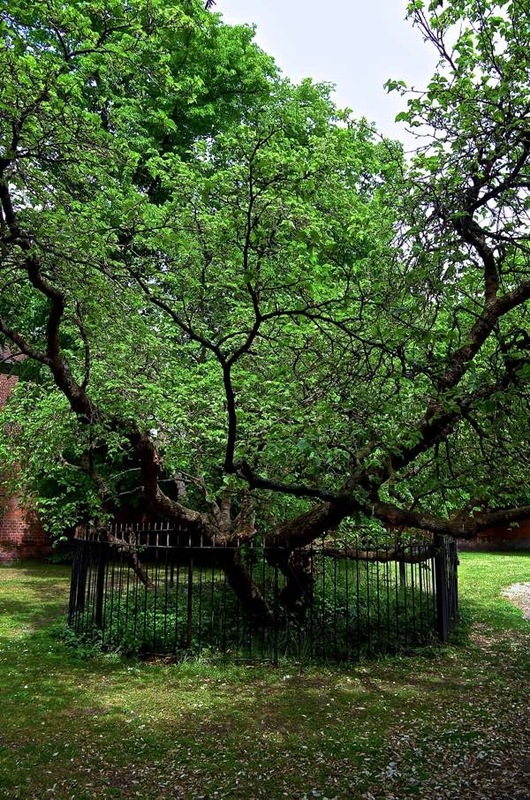 If you haven’t already seen it, there is an ancient Mulberry tree in the grounds of the Cloister Garden at St. John’s Clerkenwell, said to have been planted on the orders of James I.
There’s a fine mulberry too by the grave of William Blake in Bunhill Fields. Appropriately enough for Blake it’s a black mulberry! This is my old tree, an Oak of more than 500 years. It is located at the Sensenstein near Kassel and a natural monument. He has lost some larger branches during the last thunderstorms. But that doesn’t bother him. He has survived 500 years of human history! Here we go round the mulberry bush ! I love seeing the photos of all these magnificent old trees.. They truly are a living link with London’s past.. Thank you for bringing them to our attention.. This is a very worthwhile project, well done GA. The story of mulberries being planted on the orders of James I ties in with the story of the one in the garden beside our shop. The building that we are in belonged to William Gilberd who was a physician to Elizabeth I and then, following her death in 1603, physician for a very short time, to James I.
Wow, love that first shot of the mulberry at the Tower of London. Now that you have located so many trees, you should collect the berries and make yourself some mulberry jam… or a pie… Delicious. Keep these mulberry tree articles coming please GA it is amazing how many have managed to survive! 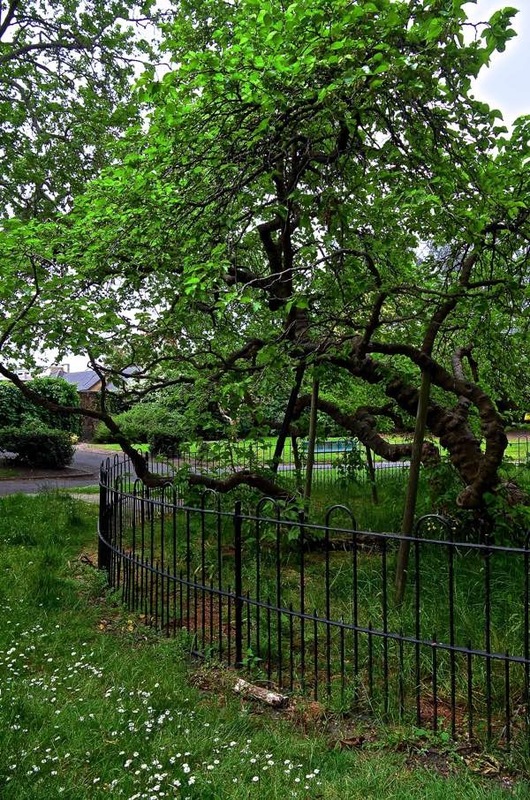 When I worked at Goldsmith’s College in the 1990s I often walked through the Deptford estate with the mulberry tree, and wondered at its history. The clue that it was a mulberry – to me, who gets flustered at identifying trees by leaf-shape etc. – was the abundance of blue-black birdsh*t on the pavement. That’s usually an indication of a nearby mulberry tree, as long as there are no brambles about (same bird-sh* colour, different source). Thanks again GA, for these wonderful London links; the mulberry chain being the latest set of links between London now and then from an East-end vantage. There are three of the original four, supine with attendant crutches and zimmer frames on West Square near the Imperial War Museum. And another next to the Dulwich Picture Gallery. Visit early August to taste!